Kyle Brandeis is an editor of a small literary review. 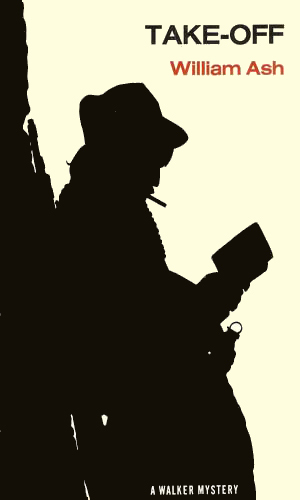 He is no former agent or former military man or former detective or anything formerly that would present him to the world as anything that what he really is, an editor of a small, unprofitable literary review. Since the review is practically moribund, even that description is just a step or two from being incorrect. Brandeis does not pretend to be anything else, either. He at one point comments that critics are sometimes unpublished writers and editors are sometimes unpopular critics. British by birth but having lived and worked in America he practically could be one, Brandeis at the start of the series is in the mountains of a Central American nation, hiding out. The reason is as embarrassing as it is prosaic - he is hiding from his two ex-wives. He comments that he had divorced the first so he could marry the second and divorced the second because he saw he was no good at being married. With his divorces came freedom to make other mistakes and two different alimonies. Since his review is in decline and he has no other prospects, Brandeis felt being somewhere far far away was a good idea. Little more is said about Brandeis. He is certainly in his mid to late 30s, drinks a fair too much to forget that he doesn't want to drink too much, likes the ladies, considering his two exes, obviously too much as well. He is a snoop which gets him into trouble but mostly he is a man who doesn't like being told he cannot do something or go somewhere or talk to someone. Of course, he usually gets in trouble when he gets so rebellious. The two books are cases of everyman against the system but told from a point of view that says to not feel too sorry for the man because he usually brings it on himself. Kyle Brandeis is just trying to find some quiet by escaping to Central America but instead gets himself pressed into a plot to free a well-known poet from prison. He ends up there himself. In Paris to arrange the publishing of a revolutionary's poetry, Kyle Brandeis quickly finds himself between the rebel, an arms dealer, the CIA, and MI5. No one believes he is an innocent. Fun short series. All the participants are fairly stereotypical but that doesn't detract from the enjoyment. The books are very quick reads and the action is fast and enjoyable. I shake my head when I see Brandeis saying the wrong thing because someone annoyed him but without this streak of rebel the series would have nowhere to go. Brandeis never tries to get into the trouble he finds himself in but they are still his own doing and he kinda knows it. It may someone he knows or something he says but he will eventually find the trouble and then eventually find his own way out of it.